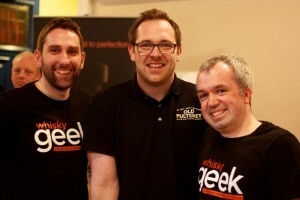 A couple of weekends ago we headed off to Stourbridge for part one of two whisky shows to be held in the town in 2013. Regular readers will know that last year we also attended this excellent event, so we were excited to see what it had in store for us this time. The show is run by the excellent Nickolls and Perks team, and you really should make the effort to visit the shop in Stourbridge which is an Aladdin’s cave of all things whisky and wine! We’ve decided to split this post into two. 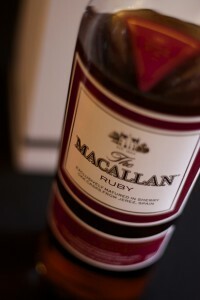 Firstly we’ll look at the Macallan 1824 masterclass, and then we’ll give you a tour of the show. This masterclass was a bit of a coup for the show; the first masterclass to feature all 4 of the new 1824 series whiskies that Macallan have now brought out. 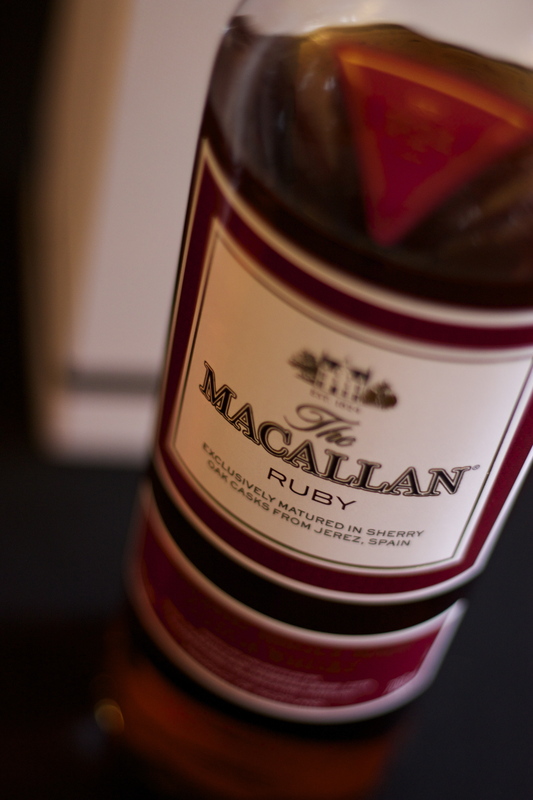 The class was hosted by brand ambassador Joy Elliot and she delivered a fascinating, entertaining and thorough run through of all things Macallan, and led us expertly through all of the whiskies on offer. It was a great start to the show. Palate: Very creamy and hot. The yeast comes through strongly. 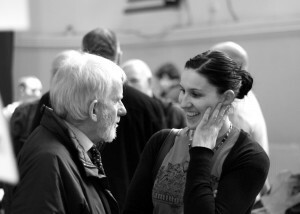 The show itself consisted of about two dozen stands containing well over 200 whiskies! We had a great time bumping into old friends, Craig and Amy from the Birmingham Whisky Club, Joe from Whisky Wednesday, Dave from Whisky Discovery, Dave from Whisky Republic and Andrew who tweets under the moniker Ardbaggie. 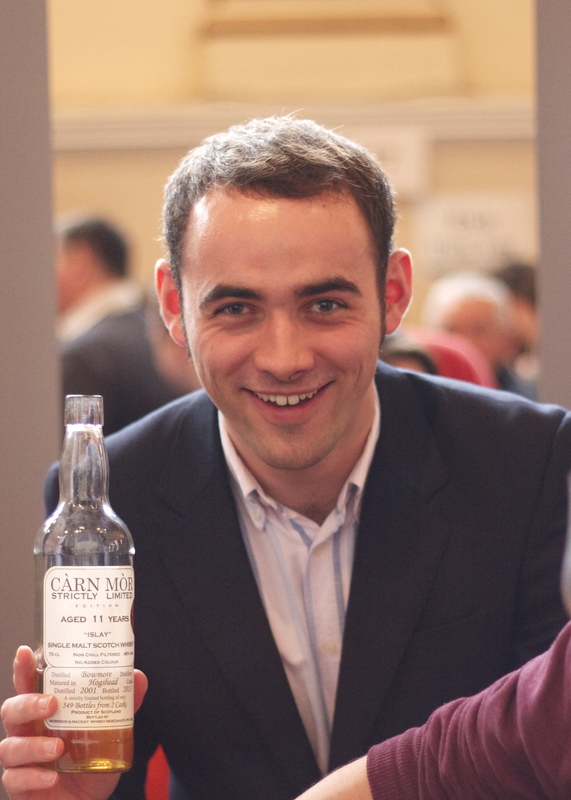 These shows are much more than the whisky – they are a change to see old faces, make new friends and to share our experiences of the drams on offer. We’ll give you our highlights from the day here with apologies to anyone we have missed! We were especially keen to visit Gordon and MacPhails stand as we really wanted to try the Macallan Speymalt 1980, especially with it being from the year we were both born in. 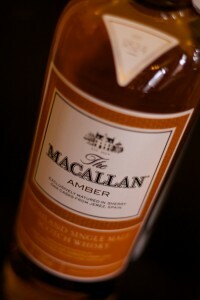 We weren’t disappointed, it was delightful, full of vanilla, toffee with a very peppery and spicey edge. We then headed off to Diageo and introduced ourselves to Toby. Mike settled for the new Talisker Storm, and I, having tried it before, opted for the Talisker Manager’s Choice bottle – it was fabulous. We headed past the Tomatin stand and caught up with Alistair over a cheeky dram of the excellent Tomatin Legacy. 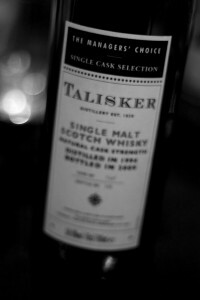 This is the new Non Aged Statement Release from Tomatin that we reviewed a few weeks back. We would thoroughly recommend this bottle to you – it is delightful and extremely well priced. Our next stop was to catch up with Peter from Carn Mor Whiskies. We met Peter in Chester last year so it was great to catch up again and once more he introduced us to some lovely spirits. 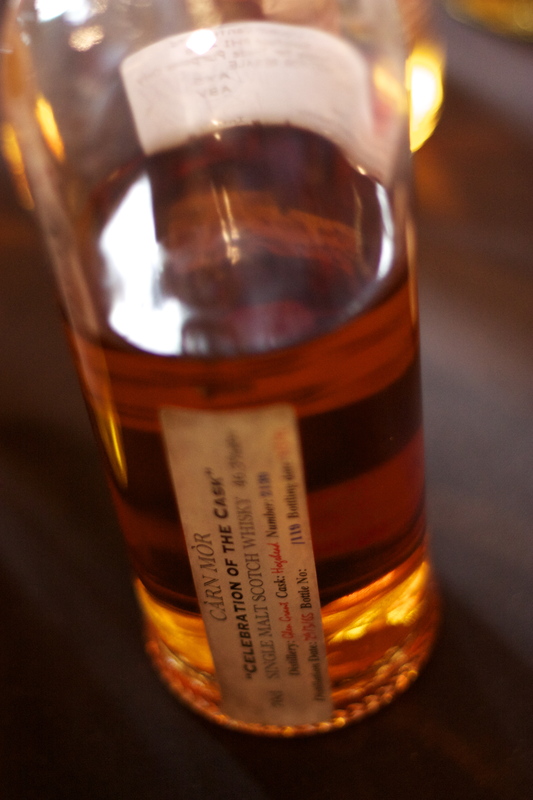 We began with Old Perth which is a blended whisky that is spicy, fruity and grassy – a real easy drinker! We also sampled a Bowmore 11 year old that had been finished in PX barrels for 2 weeks but the highlight of this stand was something much older – a 1965 Glen Grant. We headed back to the Macallan stand and Joy kindly allowed us to try two travel retail exclusives. 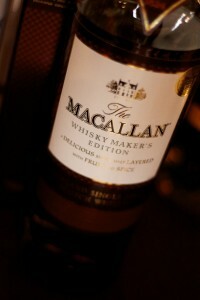 First up was the Macallan Whisky Makers Edition and this was followed by the slightly smoky Macallan Select Oak (the smoke is as a result of the heavily charred barrels used for this expression). It really was a day for sampling Macallan (including the new make we had now sampled eight from this glorious distillery). 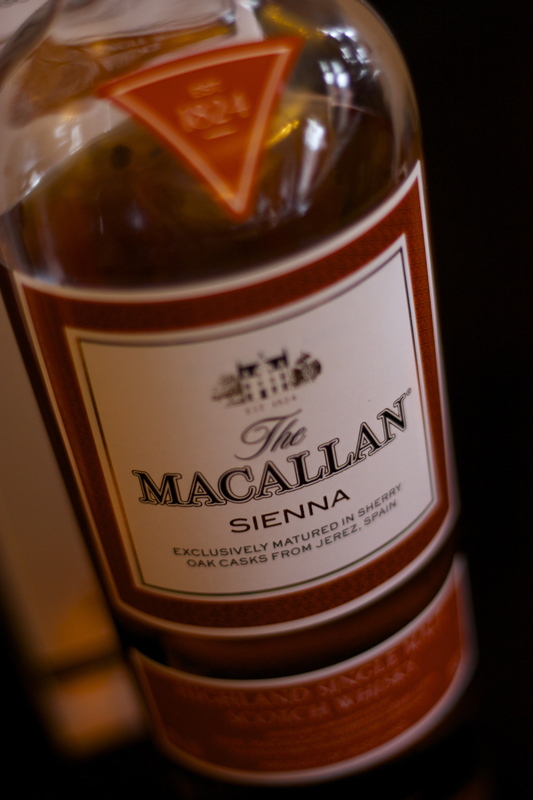 Exclusive to travel retail, this whisky falls somewhere between the new Sienna and Ruby bottlings in terms of its profile. One to look our for on your travels! I think whisky festivals must take place in a a parallel time zone as there wasn’t a huge amount of time left in the show. Mike headed off to White and Mackay to sample some Fettercairn Fior amongst others (a full review on this whisky will follow soon), while I headed to meet Celine on the Compass Box stand. I became reacquainted with the blindingly good Flaming Heart over a nice chat – we also have a rather interesting Compass Box offering to review soon – thanks Celine. Finally we headed back to speak to Lukasz on the Balblair / Old Pultney stand. We have a couple of items to review in the coming months including the Balblair 2002 and the Speyburn 1975 Clan Cask, but we were treated to an archive bottling of the Balblair 1975. Unlike the present release, this one is big and sherries; it masks the distillery character slightly but is well worth investigating should you find it. 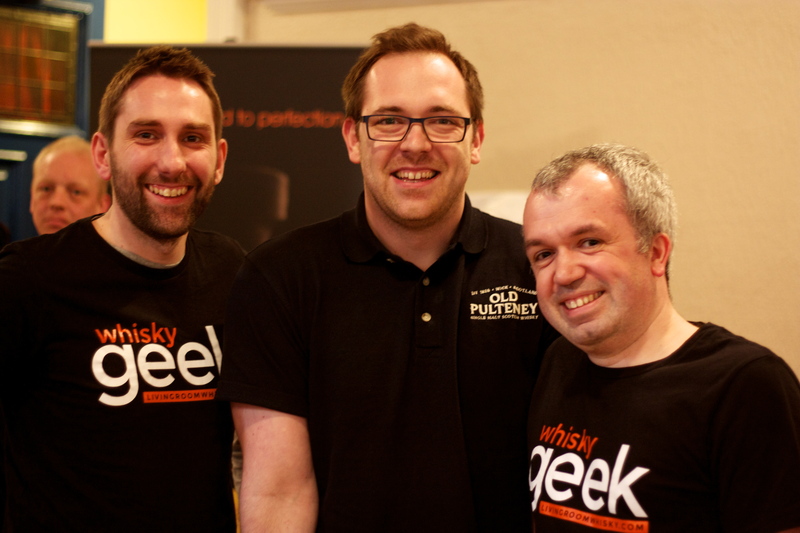 The Midlands Whisky Show delivered again – cracking whisky range, great people and an all round awesome experience. It’s a shame that its so long until the September show! 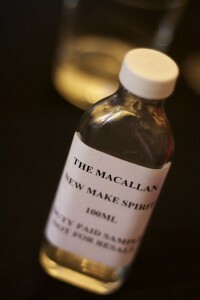 Tagged Macallan 1824, Macallan Amber, Macallan Gold, Macallan Ruby, Macallan Sienna, Midlands Whisky, Midlands Whisky Festival, Midlands Whisky Show, Nickolls and Perks, Stourbridge Whisky.